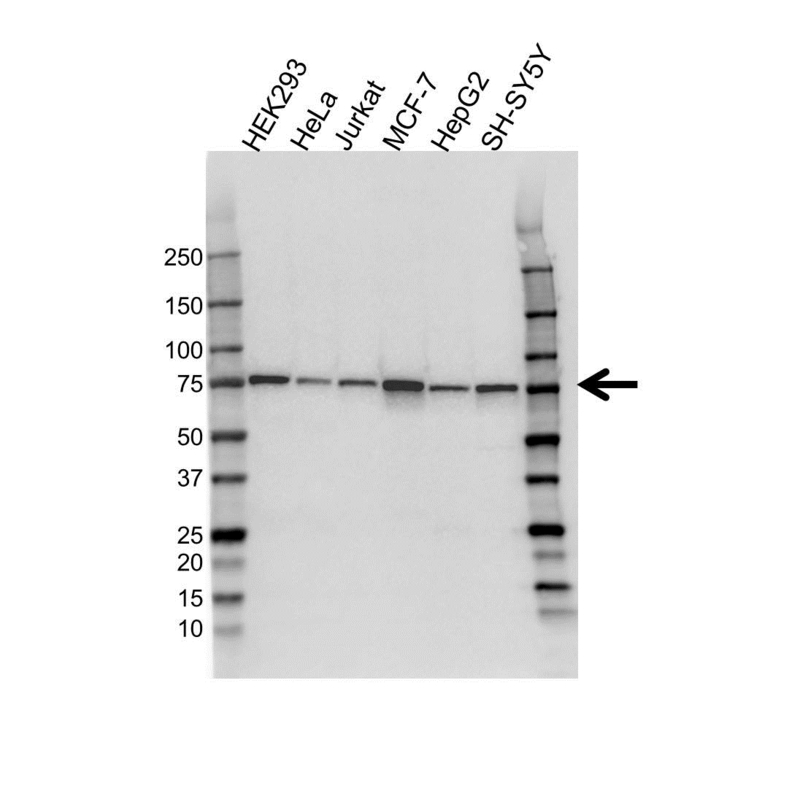 Mouse anti Human coilin antibody recognizes coilin, also known as coilin p80. The protein encoded by the COIL gene is an integral component of Cajal bodies (also called coiled bodies). Cajal bodies are nuclear suborganelles of varying number and composition that are involved in the post-transcriptional modification of small nuclear and small nucleolar RNAs. The N-terminus of the coilin protein directs its self-oligomerization while the C-terminus influences the number of nuclear bodies assembled per cell. Differential methylation and phosphorylation of coilin likely influences its localization among nuclear bodies and the composition and assembly of Cajal bodies. COIL has pseudogenes on chromosome 4 and chromosome 14 (provided by RefSeq, Jul 2008). Mouse anti Human coilin antibody detects a band of 80 kDa. The antibody has been extensively validated for western blotting using whole cell lysates.